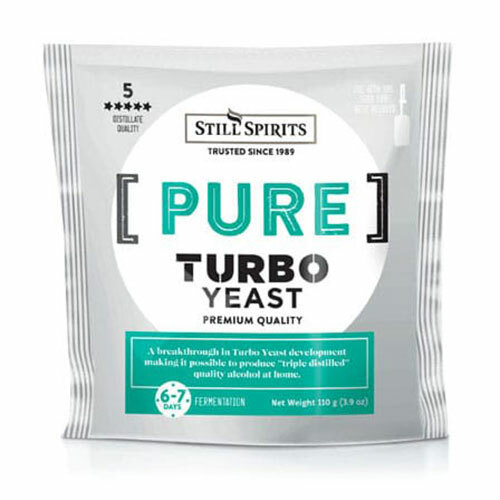 The Ultimate Still Spirits Triple Distilled Turbo Yeast 3.8oz should be used where ultimate alcohol quality is of primary importance. Only use where cool air temperature (between 65-75F) can be maintained. 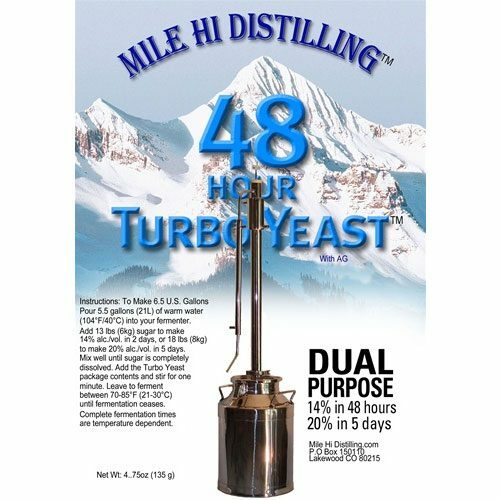 This is a revolutionary breakthrough in Turbo Yeast development making it possible to produce triple distilled quality alcohol up to 18%. 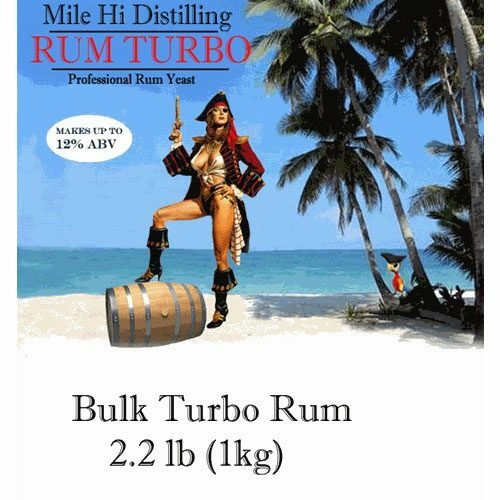 Now, add 6kg (13.4lb) Sucrose or 7kg (15.4lb) Dextrose and stir well until completely dissolved. 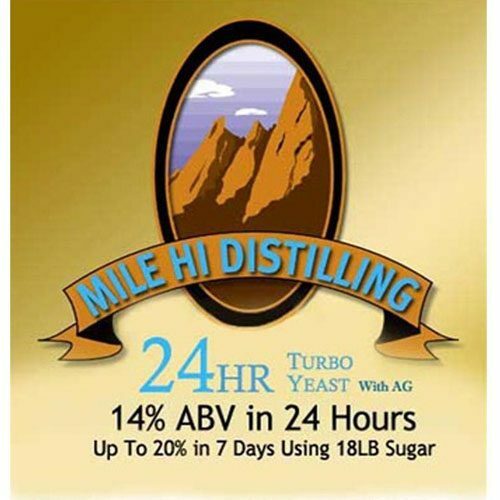 Finally, add yeast and stir well, rest the lid loosely on the fermenter and leave to ferment between 18-24C (65-75F) air temperature for 7 days. Don’t forget to get your 2-Stage Clearing Agent and/or Turbo Carbon. 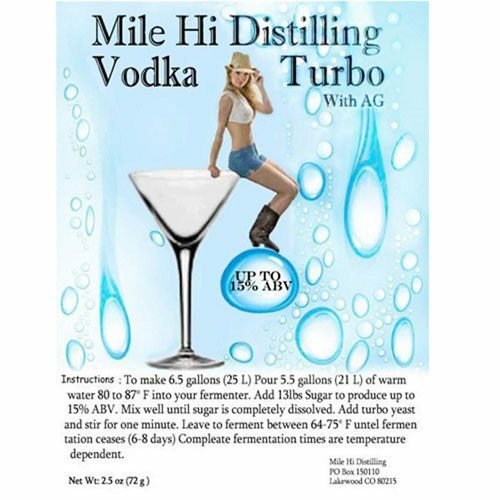 To make real commercial quality spirits, both Turbo Carbon and Turbo Clear must be used!